If your home is listed for sale during the Holidays, it is important to remember that the same staging principles apply as during other times of the year. 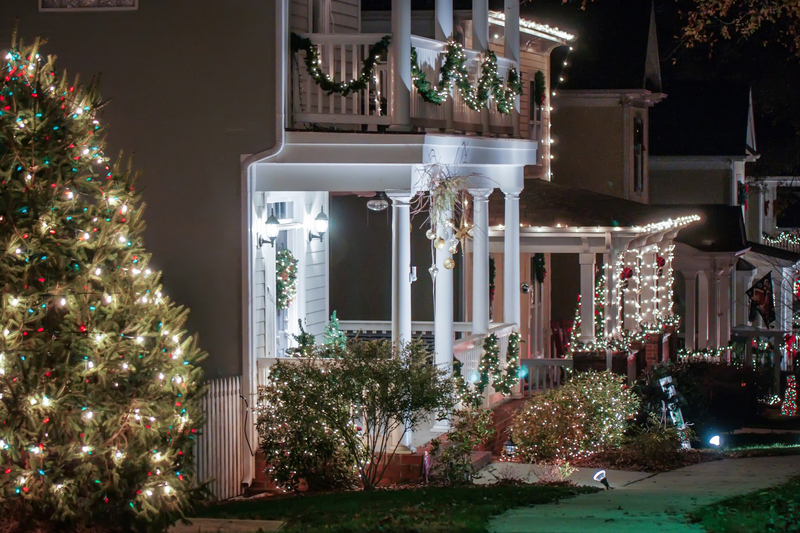 While nobody wants to be “Scrooge” during the holidays, you want potential buyers to be able to easily see the great features of the home and not have to fight their way past the giant wreath on the front door. Since it is important to keep holiday decorating under control, listed below are some suggestions from REALTOR Magazine on how to decorate for the holidays while keeping your house ready for a buyer. 1. Do not overdo it. Wait to decorate for the Holidays until after Thanksgiving. Be selective in what you decorate with. Avoid “cute”. It is always subject to personal taste. Don’t allow your decorations to create clutter or dominate a space. Covering up major selling features of the home with a Christmas tree or other decorations prevents a buyer from seeing them. Keep it simple, warm and welcoming. 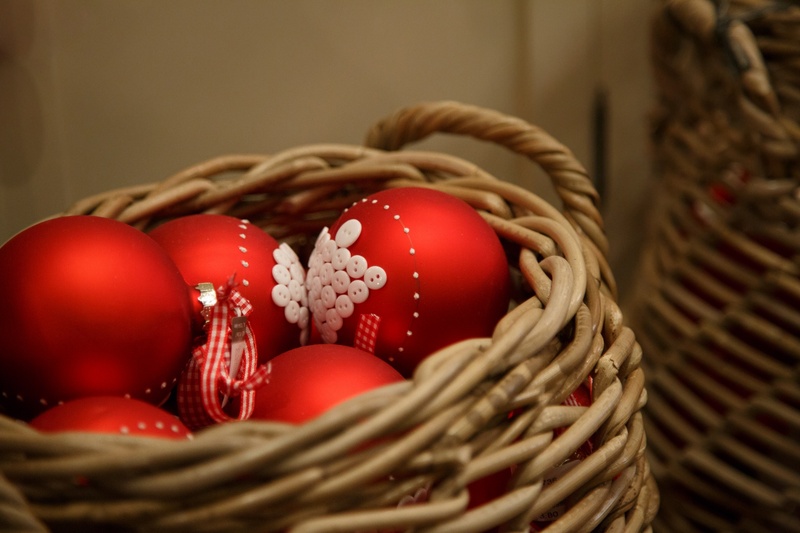 Using the traditional Holiday colors red and green will create a Holiday atmosphere and can be simple to accomplish. Poinsettias as a centerpiece on a table, red ribbon tied around candle sticks or used as bows on wreaths add splashes of color through out your home. Studies have shown that those viewing warm colors, such as red, have an increase in their energy and excitement. Try to keep the same colors in each room of the house you decorate by using the same ribbons, ornaments and decorative accessories. This will keep your Holiday decorating consistent through out your home. 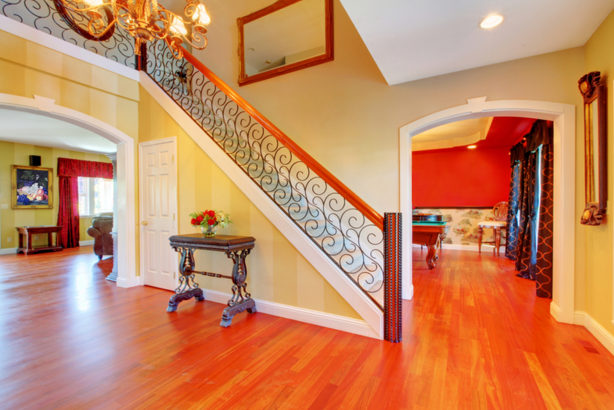 One thing to keep in mind: don’t use colors that clash with your homes basic décor. 3. Remember to use scent and sound. Research reported in the Journal of Business (Vol.58, Issue 11) 2005, shows that holiday music and the smell of Christmas boost peoples’ attitudes while shopping and made them more likely to buy. 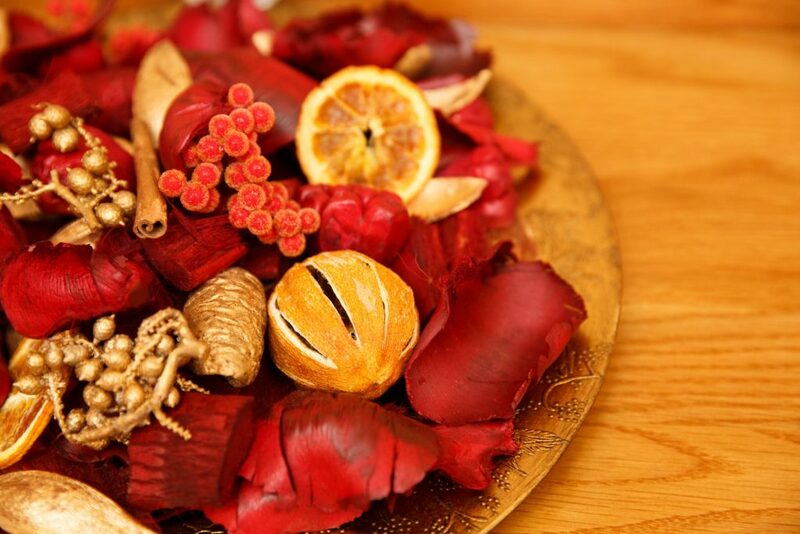 When preparing the house for a showing, put on some soft holiday background music, buy some potpourri, scented candles or simmer some mulling spices on the stove. 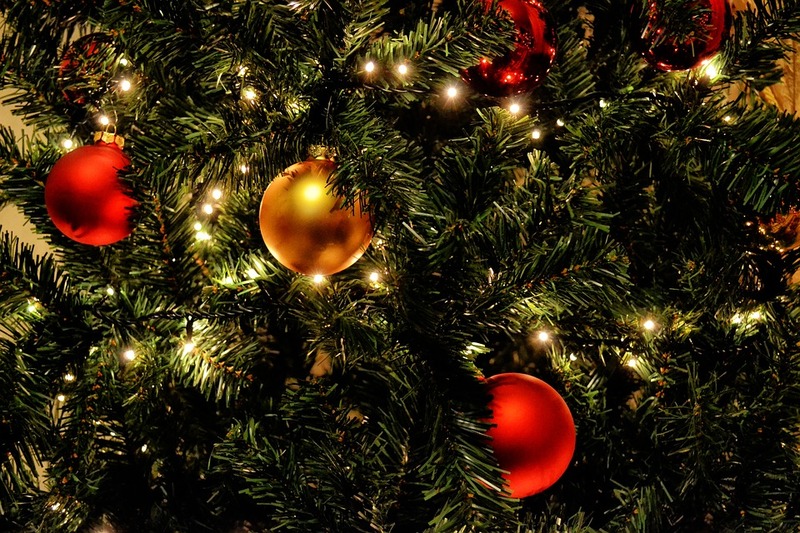 The Christmas tree makes the biggest statement, but it is also your biggest challenge. Lights are always important. Consider using a string of 100 lights for each foot of tree height. If your tree is taller than 6 feet, you may need to remove some furniture from the room so that the room doesn’t feel too small. Most of the filler ornaments should be one basic color. Use approximately 20 for every 2 feet of tree. Mix in elegant, stylish ornaments to make a decorating statement. You should use 10 of the elegant ornament for every 2 feet of tree. Ornaments can be in different sizes. Hang them on the tips of the branches and inside the tree to create depth and visual interest. Lastly, personal decorations like “Christmas in Cancun” or “Baby’s first Christmas” should not be used or at least not placed in a prominent location on the tree. Use clear white lights if you decorate the exterior of your home. Place candle lamps in each window. 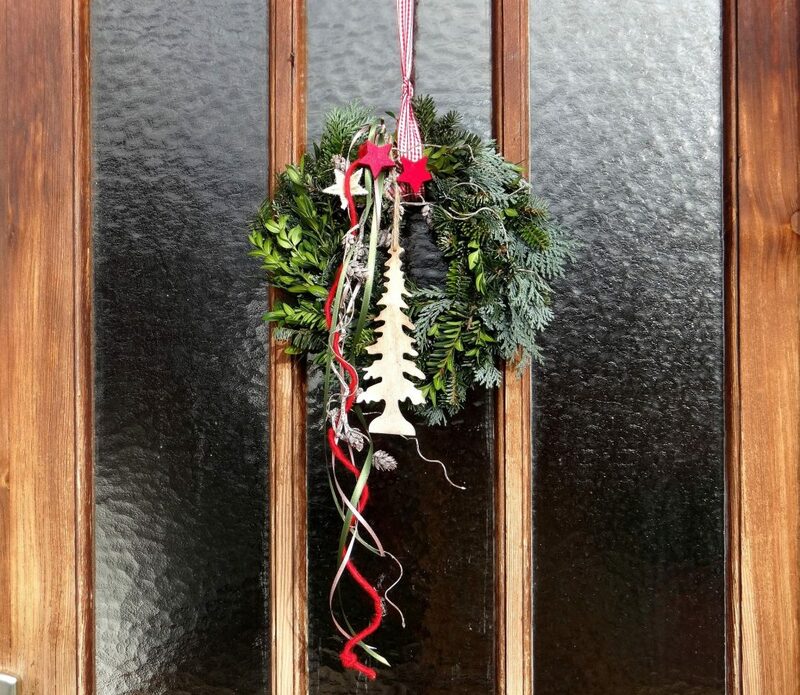 Hang a wreath on the front door. If you have a deck, put some lights on the railing or add a weather proof Christmas tree. Stay away from the 10 foot inflatable Santa, reindeer on the roof and using so many lights you cause a brown out in the neighborhood. Remember you are trying to ensure that your home shows well during the day and night. 6. When the Holidays are over, take it down. All Holiday trim should be taken down right after New Year’s. You are trying to sell your house, not extend the Holiday season. For additional Holiday ideas go to World of Christmas.net or About.com. We here at Berkshire Hathaway HomeServices Snyder & Company Realtors are here to assist you with any of your Ann Arbor Area home buying, home selling, rental or other Ann Arbor real estate needs. Call us at 734-747-7500 or 734-747-7700 weekdays, or 734-660-0105 evenings and weekends. We’re also available via email at info@bhhssnyder.com or online at www.bhhssnyder.com anytime. Choose Berkshire Hathaway HomeServices Snyder and Company for the best Ann Arbor Realtors!